MK Ayman Odeh refuses to call on Basel Ghattas to resign from the Knesset but says his actions are unacceptable. MK Ayman Odeh, chairman of the Joint List party, on Saturday night refused to call on MK Basel Ghattas to resign from the Knesset. Ghattas, who is a member of the Balad faction of the Joint List, was arrested this week for allegedly smuggling materials including letters and cellular devices to jailed terrorist prisoners for use in planning terrorist activities . "We will talk with Balad about what needs to be done. I will not speak here in the media before I speak to them,” Odeh, who is a member of the Hadash faction of the Joint List, told Channel 2 News on Saturday night. 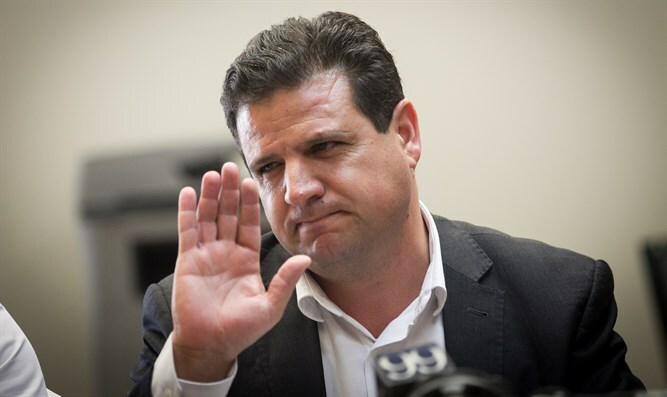 Despite his refusal to call on Ghattas to resign from the Knesset, Odeh clarified that Ghattas’s alleged actions are unacceptable. "If this is true, and he did what was published in the media and what the police said, he did something that is improper. It is not acceptable to us," he stressed, adding he would like to look into the matter on his own. "Do I trust what the Attorney General says? Or what the police say? After all, how many times have they changed their mind after making all sorts of accusations? We need to look into this," said Odeh, who went on to accuse other politicians of taking advantage of the Ghattas affair to make statements for the purpose of political gain. "I did not say that he was blameless. No doubt he did something that is against the law. Unfortunately this was a gift for those in power. The statements made on the issue were political statements,” he said, without specifying to whom he was referring. "The right thing to do would be to conduct a fair investigation to the end. A person who broke the law should be punished accordingly. But I saw pictures comparing Balad to ISIS. They said Balad is a hotbed of terrorism. This is not true,” continued Odeh. If he is found guilty, Ghattas would join Balad member and former MK Azmi Bishara as another MK who was an active spy against the State of Israel while serving in the Knesset.